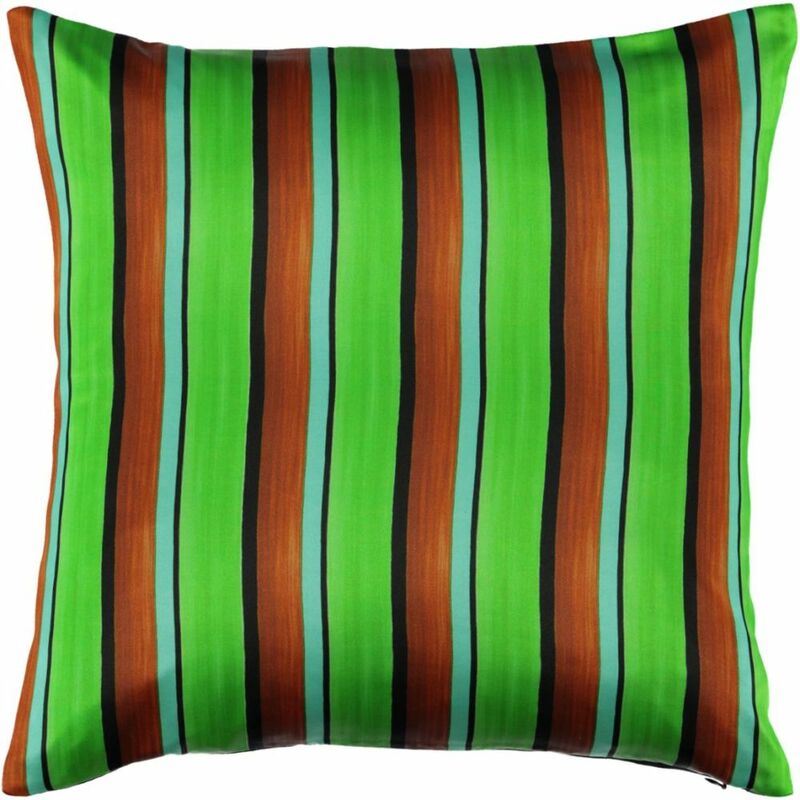 Luxury pillow featuring the Stripes Green print hand designed by Mariska Meijers. 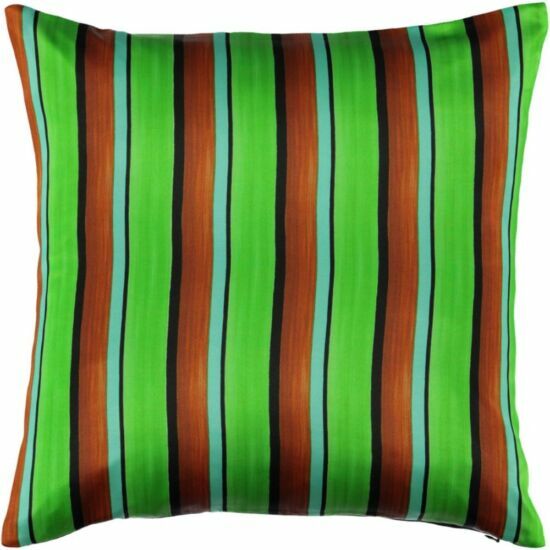 The front panel of the pillow is a digital printed 100% silk. The back panel is 100% linen. Comes with a feather insert and has a blind zipper. Made in Holland. The Stripes Green. pattern is available across our interior and fashion collections.